The PROTONE helmet is inspired by the leader jersey of Giro. It provides the fastest rate of heat dissipation and the lowest aerodynamic coefficient of all aerated models currently on the market. The protonated it's aerodynamic performance, minimum weight, maximum ventilation and excellent appearance. The protonated includes a 3D Dry Padding the production process, open-cell and multiple thickness for comfort during the race. It features a removable and washable interior padding made from CoolMax fabric and enjoying antimicrobial treatment Sanitized®. 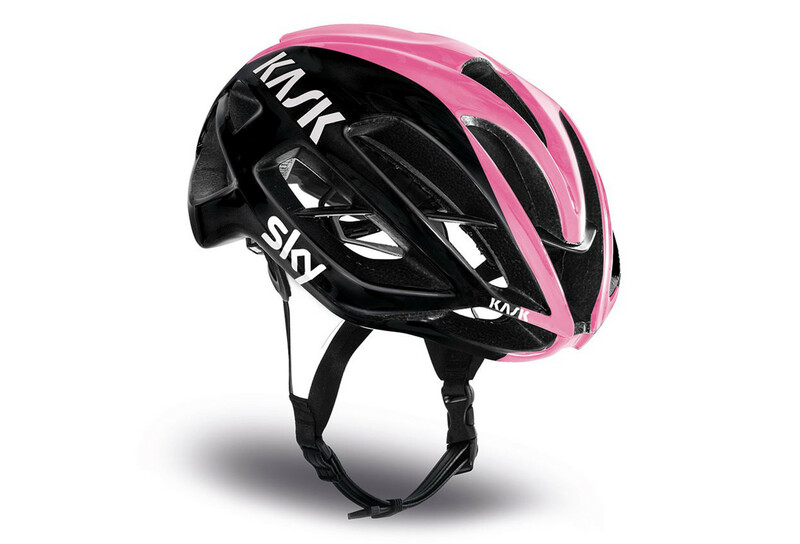 Casque KASK PROTONE GIRO Noir Rose clasificado 4.9 de 5 por 58.